MEXICO CITY, MEXICO – November 30, 2010 – Following a year- long investigation, Disability Rights International (DRI) and the Comisión Méxicana de Defensa y Promoción de los Derechos Humanos (CMDPDH) released findings today in a joint report detailing the human rights abuses perpetrated against children and adults with disabilities in Mexico. 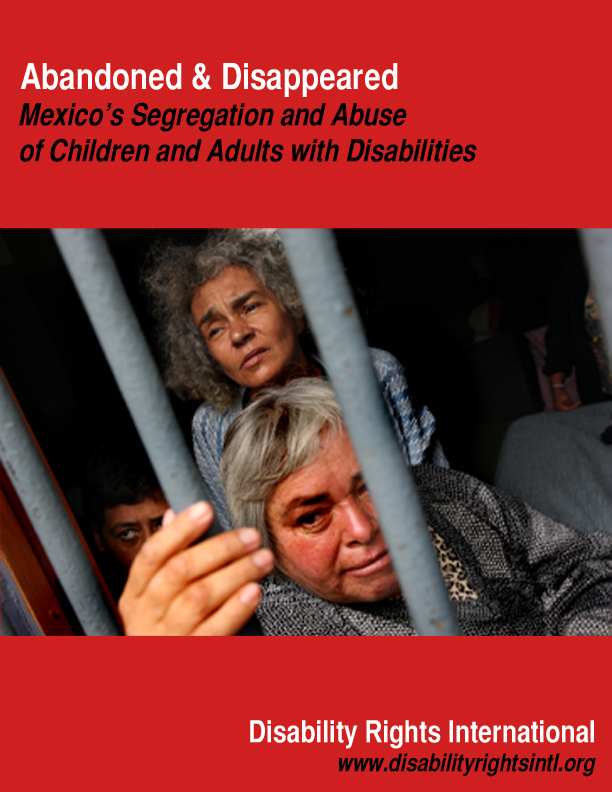 Abandoned & Disappeared: Mexico’s Segregation and Abuse of Children and Adults with Disabilities, describes the disappearances of children from Mexican orphanages and institutions and the discovery by investigators of people in institutions held without any record of their names, ages or location of placement. There is no way for anyone, including parents, to find them among the thousands of abandonados who are relegated to a life-time in these institutions. Within institutions, investigators identify a broad range of atrocious conditions and life-threatening forms of mistreatment. Investigators found: people with disabilities left permanently in restraints, some of whom were tied into beds and wheelchairs; the use of lobotomies (psychosurgery) without consent; people detained for a lifetime in locked facilities simply because they have a disability; and filthy and inhumane living conditions. The report finds that detaining children or adults with disabilities in restraints for years at a time may constitute nothing less than torture under article 1 of the UN Convention Against Torture. “These are Mexico’s most vulnerable citizens – abandoned children disappearing into a world of exploitation and abuse and people with disabilities forced to endure a lifetime of egregious human rights abuses in institutions. We found egregious violations of the United Nations Convention on the Rights of Persons with Disabilities (CRPD) – a Convention the Mexican government championed and helped draft. The government of Mexico has promised to uphold these rights,” said attorney Eric Rosenthal, Executive Director of DRI and primary author of the report. 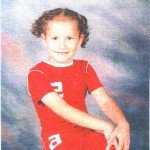 Six year old Ilse disappeared from a Mexican institution in 2007, following a temporary placement there due to a family crisis. When her grandmother went to reclaim her, she was gone, never to be seen again. DRI is an international human rights and advocacy organization dedicated to the human rights protection and full participation in society of people with disabilities worldwide.